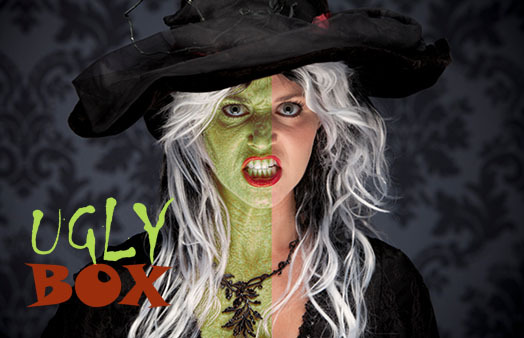 In case you missed it, last week on Halloween we released a free filter called Ugly Box! The blog post is a little late for Halloween (although they are celebrating it in New Jersey today), but if you’re tired of all the election nonesense, there’s still plenty of time to use it to make Glenn Beck more interesting. With Beauty Box 2.0, you could set Skin Detail Smoothing to a negative number resulting in, yep, Ugliness! It takes the skin texture, amplifies it and sharpens it making your talent either look a bit older or flat out hideous depending on their skin and the settings. Ugly Box, the fitler we’re releasing for free, let’s you use that aspect of Beauty Box. It’s a bit of a one trick pony, you don’t have all the control you do with Beauty Box, but it can definitely make the folks in your videos look a lot worse.